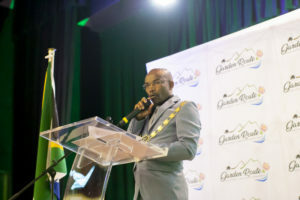 Eden District Municipal Health officials from Bitou celebrated Madiba Day in Plettenberg Bay when they visited the New Life Crèche in Qolweni. 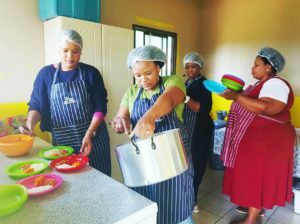 The team consisting of Mr Gawie Vos, Ms Zoleka Goniwe, Ms Nokuphiwa Mbali, Mr Yusuf Isaacs and Ms Busisiwe Jacobs assisted the staff with their daily duties including: hand washing, serving of food and washing of dishes. 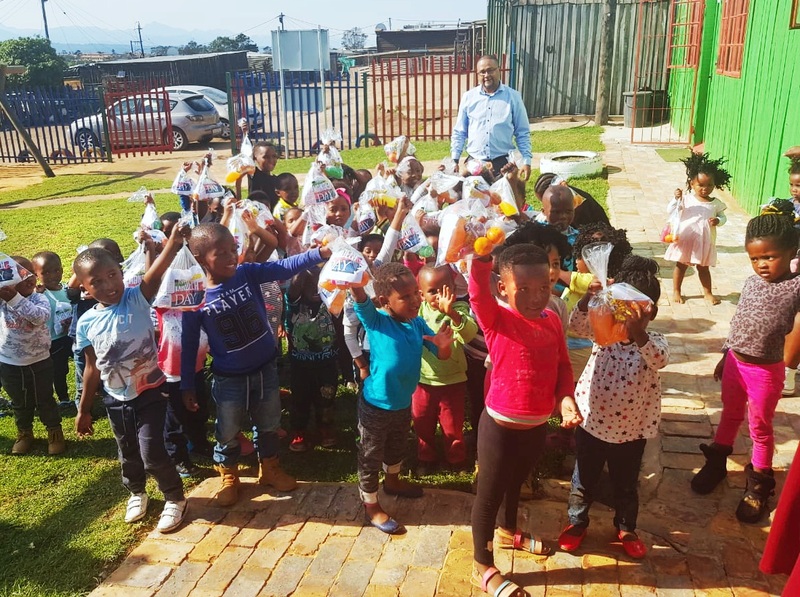 The visit was concluded on a high note when each toddler received a healthy party pack from the team.